Ok, there you go, I’ve admitted one of my passions (some say vices) to anyone reading this! In fact, I feel such a kindred to Italian cookies that I plan to someday take six months to drive every region in Italy and properly research the many, many varieties of cookies found throughout Italy…and then veganize them all if possible! My passion probably began while I was living in the Northern Italian town of Alba – better known for white truffles and incredible wine. I was lucky enough to learn and study Italian food during this 4-month period from some of the best cooking minds in Italy at that time. One of my instructors, Ugo Alciati, was widely considered one of the best chefs in Italy, and his prowess as a pastry chef was simply unmatched. He taught me many things, but what really stuck in my mind was learning how to properly make those Piemontese classics – Brutti ma Buoni (literally ugly, but good). I was hooked and decided to learn more Italian cookie classics…and my journey began! Zaletti are popular in the Venice region – or the northeastern part of Italy where corn grows and polenta is popular. 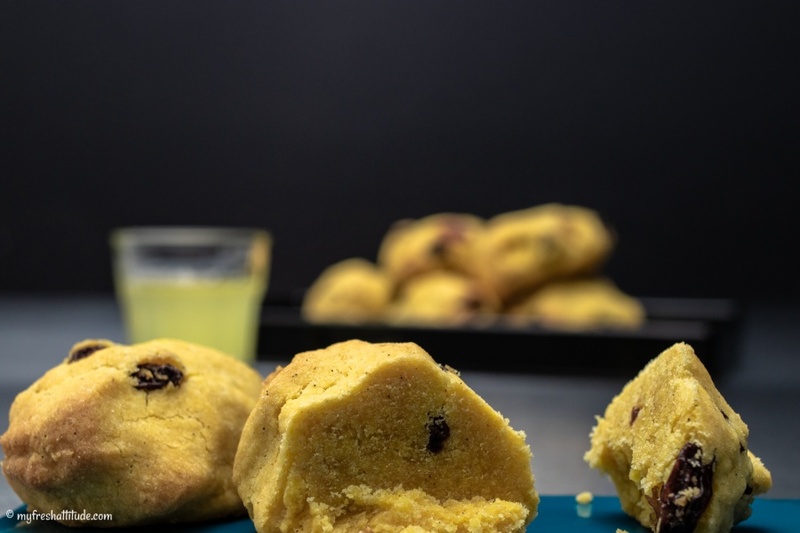 But who would ever think to use polenta in a cookie recipe? Well, apparently the Italians, and I am thankful they did. These cookies are like many Italian cookies – they don’t look so great, but boy do they taste delicious. They are not overly sweet. In fact, they have a slight bitter note from the corn and lack of too much sugar. And for me, that is perfect with a cup of tea or a glass of sweet wine…or limoncello!